Click on the categories on the left to browse our range of accessories, or click on the quick links below to view our Rhino-Rack Backbone systems, find a rook rack or discover our range of awnings. View this category to see roof racks, roof trays, roof boxes to help you carry more gear on your vehicle. View this category to see accessories for your sports and leisurely activities including water and snow gear. View this category to see ladder carriers and other accessories to help you work better. View this category to see our canopy systems and parts that can be perfectly set up on your vehicle. 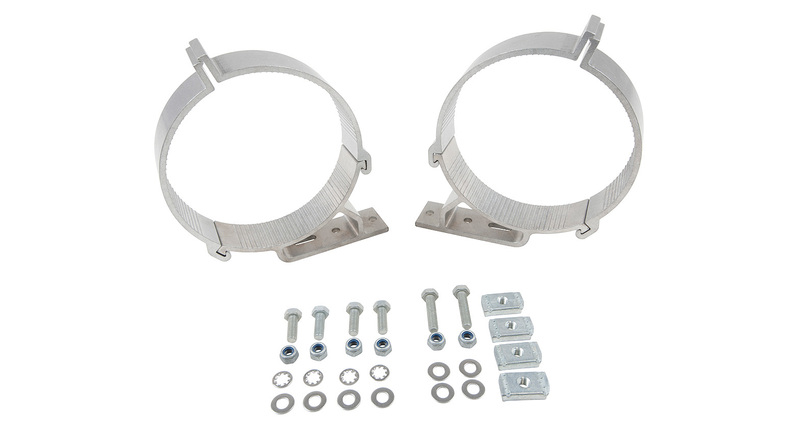 View this category to see brackets, spare parts and roof rack components for your common loose bolts and bits. 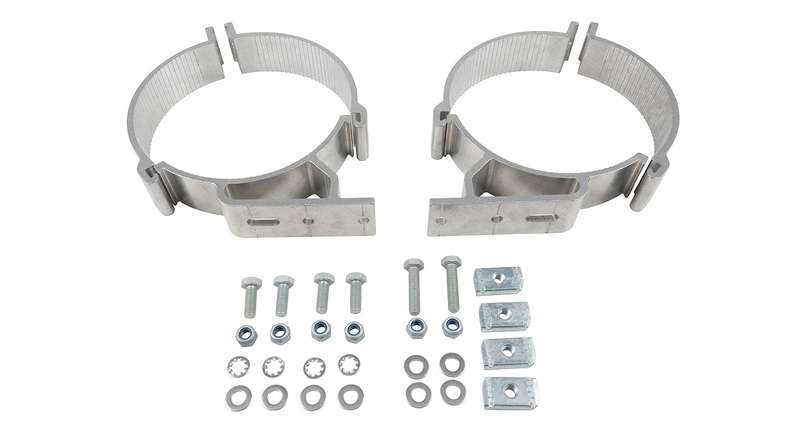 This kit consists of 2 clamps to allow a 150mm (6") Conduit Carrier to be fitted to a Rhino-Rack Heavy Duty Bar. The clamps allow mounting of the conduit above or below the bar. We would love to have your feedback on the 150mm Conduit Clamps (x2). Looking for assistance to make the right buying decision or need some support for a product you own? First see if the content on the product's page will help. Remember to download and take a look at any available fitting instructions. If you still need help, please visit your local authorised Rhino-Rack dealer. Products on the web site will now show recommended accessories that fit your vehicle and roof rack selections.